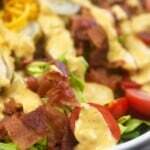 Cheeseburger salad is the perfect option on busy summer nights! Tastes like biting into a big, juicy cheeseburger and the homemade salad dressing is out of this world amazing! I am a cheeseburger kind of person. I just love them and so do my kiddos. We eat out fairly often (surprised? Yes, you can totally eat out while being low carb!) and I know that a burger is almost always going to be a safe and easy option and it’s always going to be good! Just skip the bun and go at it with a fork. Easy peasy. At home, though, I like to make my burgers a little more exciting. I start out with some salad greens and the BEST homemade burger sauce. 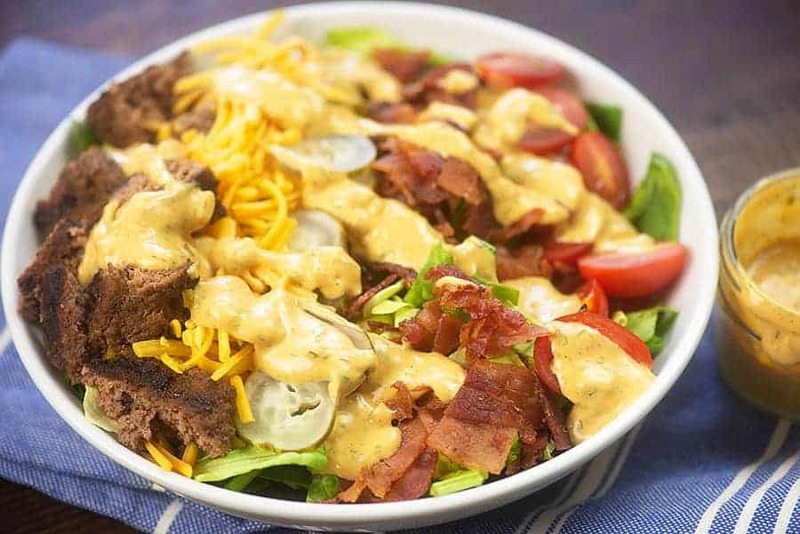 This cheeseburger salad is a low carb salad that everyone will want for dinner. Lettuce is low in carbs and salad is a really great choice for a low carb diet. To keep your salads exciting, I suggest loading up the toppings! You’re going to get tired of boring salad, so get creative! And definitely give my homemade ranch dressing. It’s low carb and bursting with flavor! The list goes on and on! There are so many options to keep your healthy salads exciting and flavorful. 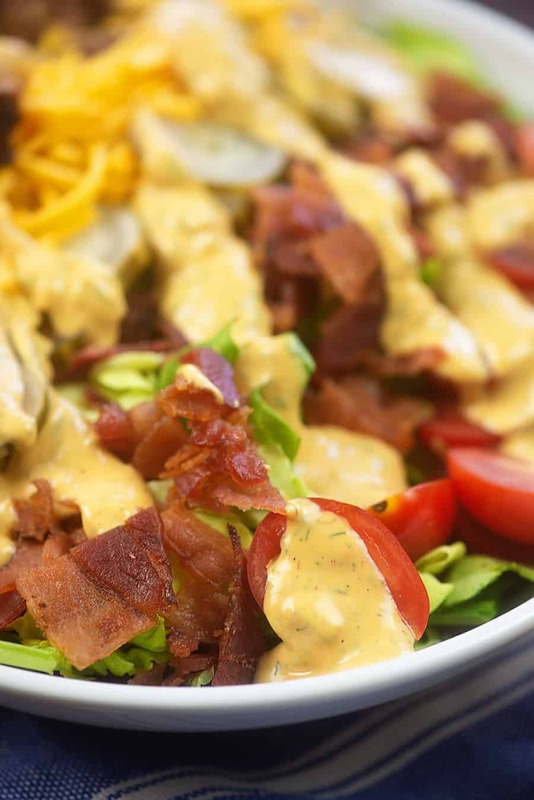 This cheeseburger salad has just as much ‘topping’ as it does lettuce. I like salads that are bursting with good stuff! 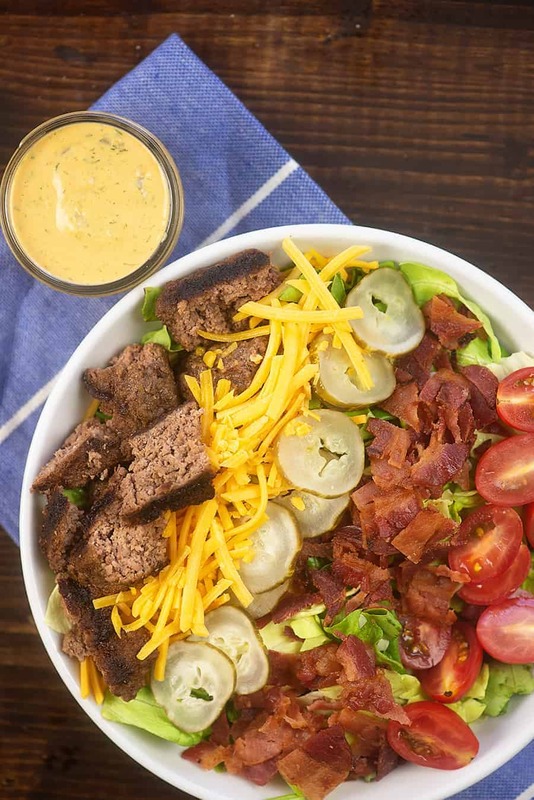 I’ve topped my salad with all of my favorite cheeseburger toppings: halved grape tomatoes, crispy fried bacon, loads of cheddar cheese, sliced dill pickles, and a freshly grilled hamburger patty all chopped into bite-sized pieces. 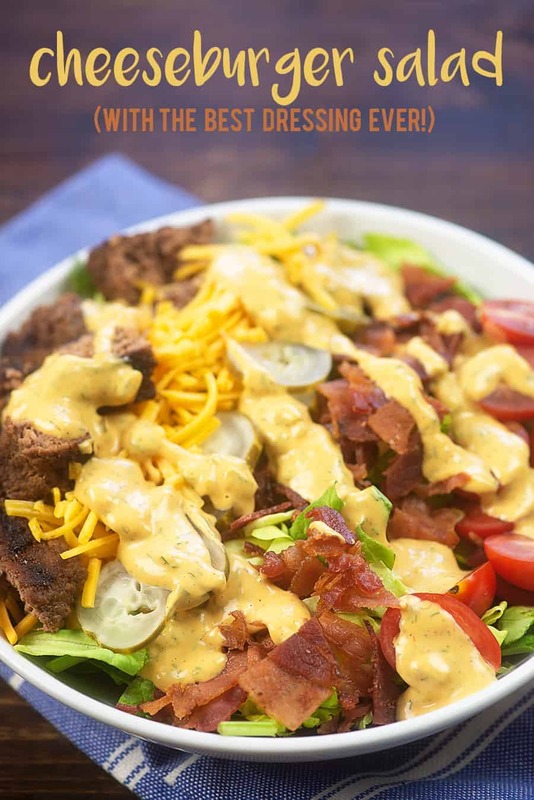 I’m normally a ranch dressing girl when it comes to my salad, but trust me when I say that the burger sauce dressing on this keto salad is OUTRAGEOUS. You might just want to bathe in it. To make the burger salad dressing, you’ll start with some reduced sugar ketchup. I use Heinz. 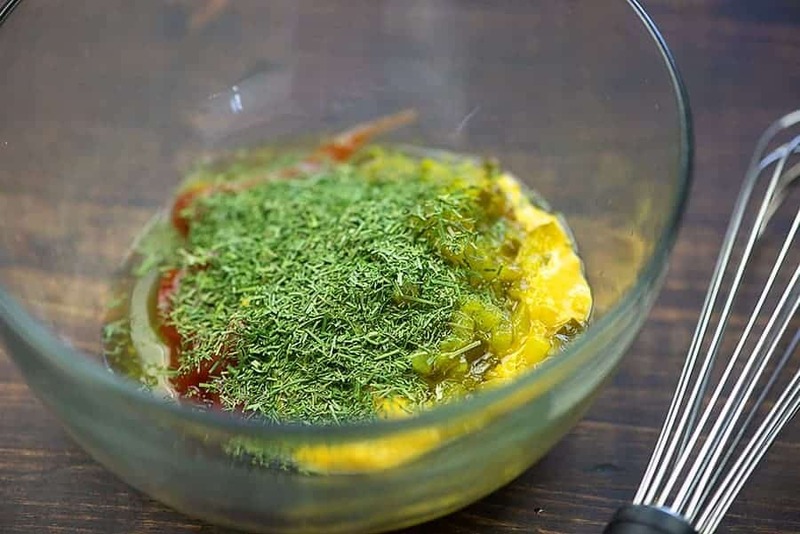 Add some mustard, dill pickle relish, and fresh dill. This is all going to add big flavor to the dressing. 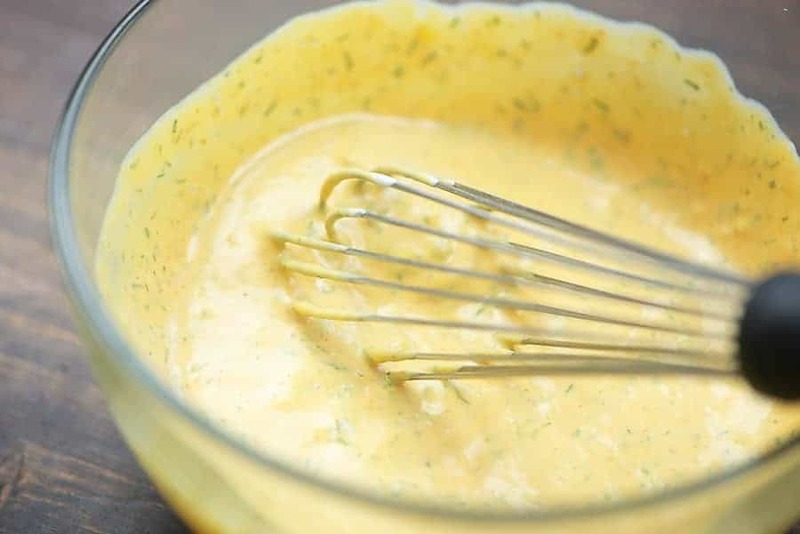 Next, whisk in some mayonnaise to make the dressing rich and creamy. You guysssssss. I literally can not stop with this dressing. It goes great on regular cheeseburgers in place of ketchup and mustard, too. My non-keto peeps love it on their burgers! Broccoli Salad – an all-time favorite around here and perfect for any summer barbecue! Cauliflower Potato Salad – there’s not actually any potato in there, it just tastes like a potato salad! Avocado Egg Salad – so good for lunch on a hot day! This cheeseburger salad makes enough for two hearty salads. You'll likely have leftover dressing - it'll store in the fridge for one week and is excellent over burgers or hot dogs! Add the ground beef, Worcestershire sauce, garlic powder, onion powder, and seasoned salt to a small bowl and mix to combine. Shape the beef into two large patties and cook in a skillet or on the grill, flipping halfway through, until cooked through, about 15 minutes. Chop burgers into bite-sized pieces and set aside. Add all of the dressing ingredients to a small bowl and whisk well to combine. Add the saladha greens to two bowls. 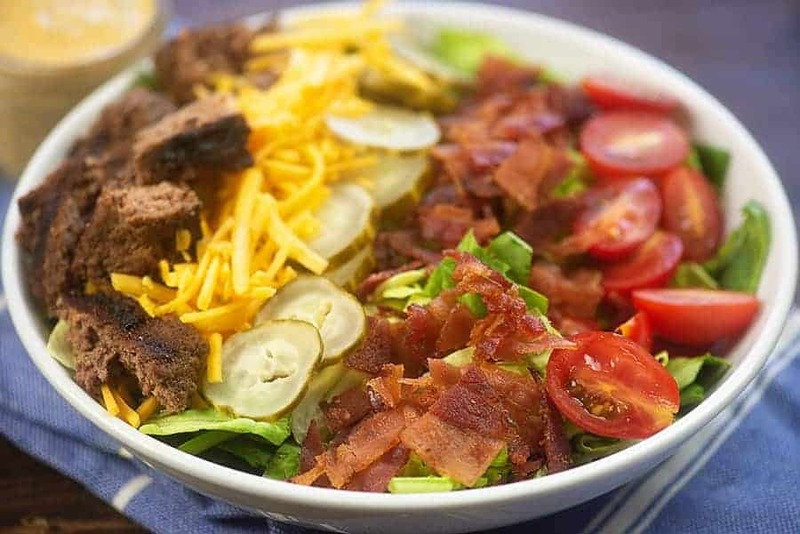 Top each salad with half of the chopped burger, bacon, cheese, tomatoes, and pickles. 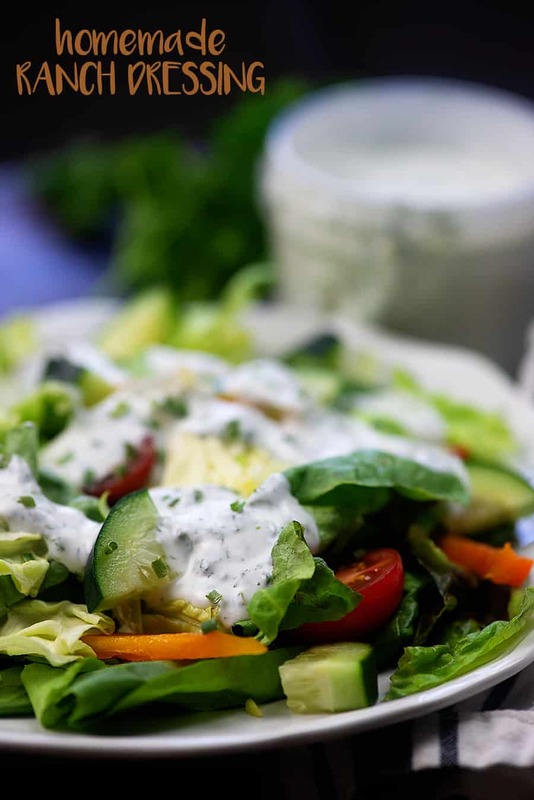 Drizzle each salad with the salad dressing and serve immediately. Store any unused salad dressing in a tightly closed container in the fridge for up to 1 week. This was way too good! I prefer this to an actual burger now, the bun just gets me feeling so full. But with this salad I get my burger craving but I don’t feel way too stuffed after. Definitely making this again next weekend – thanks for sharing! Cant wait to try, so hard to know what I can eat. A newbee but want a changed life style. We tried the Cheeseburger Salad with the awesome dressing last night. AMAZING!!! I just found your website yesterday and printed off 11 recipes right away and the salad was the first we tried, so good! We would not change a thing and it may have to be a weekly dinner. 🙂 Thanks for the website & recipes! I’m not really a salad lover but I’m trying low carb cooking, to help us be a little healthier. This salad was REALLY good! And you are right….that sauce is AMAZING!!! I didn’t even miss the bun….and bonus, my diabetic kid didn’t need a shot to eat it, so he was happy too!!!! Going to try this salad sounds so good! You have probably answered this before, but I am new, what mayonnaise do you use for the dressing? I personally use Kraft mayo because it’s what I like best. But any brand of mayo without added sugars (like Miracle Whip) would be fine. Sir Kensington is a popular keto mayo.